I hear this a lot, so I thought I’d spend this rainy morning to write about why this might not be true and how it can actually be a pretty good deal. I hope that, if nothing else, we’re all on the same page here. The reality is that an earthquake will occur. What we don’t know is when and how strong. The San Andreas fault has been locked for some time. The last major earthquake occurred in 1857 when the Carrizo Plain section moved as much as 27 feet! Historical data points to earthquakes occurring on the San Andreas fault an average of every 150 years. Since it has been 157 years since the last “big one”, seismologists refer to the San Andreas fault as being “at least 10 months pregnant.” The United States Geological Survey and the California Geological Survey say there is a 99.7% chance of a 6.7 magnitude earthquake or larger striking California in the next 30 years. Some people have the opinion that, since other areas have been declared disaster areas in the past that they will just rely on those funds from the government. Unless you can rebuild your home for around $30,000 you will come up short because that is all that FEMA will grant if the President declares a disaster and you have to qualify for the grant. Other arguments I’ve heard is that the deductible is too high. True, the deductible is high, often around 15%. It is a valid point, however would you prefer to pay 15% or 100% if there was a total loss? If you assume that only 30% of your home was damaged you would still save half of the cost to repair or rebuild. Let’s take my small home as an example. The earthquake coverage through CEA is $554/yr for $273,000 in coverage. The deductible is $40,950. By paying $554 I would save $41,000 even if my home was only damaged 30%. I would have to pay that amount for 74 years to break even. If an earthquake occurs earlier than that then I’m money ahead. Sounds like a pretty good deal to me. No, there are no guarantees in life. For all we know, an asteroid may one day hit the earth and kill us all off. One can, however, look at the likelyhood that something will or will not happen. Let’s take a look at the CEA, which holds about 2/3 of the earthquake policies in California. The CEA has about 800,000 policyholders located throughout the state. 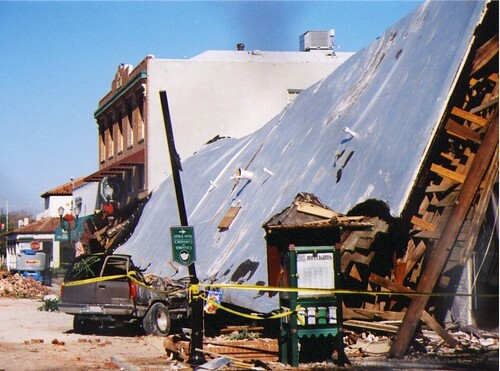 Earthquakes are generally regional events, and any given seismic event is unlikely to affect all CEA policyholders. CEA assets are available only to pay claims to homeowners and renters who have protected their homes by purchasing a CEA earthquake policy. The CEA is not responsible for damage to commercial properties or to uninsured residential properties. By law, the State of California is not liable for the CEA’s liabilities, and the CEA does not pay any state liabilities. Therefore, CEA assets are not used to repair infrastructure items such as bridges and freeways. If an earthquake causes insured damage greater than the CEA’s claims-paying capacity, policyholders who are victims of that quake may be paid a prorated portion of their covered losses. Or, the CEA Governing Board may approve installment payments. The CEA is not permitted to file bankruptcy. Ever since hurricane Katrina insurers in the so-call “catastrophic” insurance market have been required to do much more work in their risk modeling, which is a way to measure worst-case scenarios. They do this by taking into account where the fault lines are and where the insured homes are. By measuring the spread of policies throughout the many areas of California they can be reasonably sure that when there is an earthquake it will only affect a small portion of their policies. The current modeling for the CEA is set base on their having enough funds available to pay claims for a 1 in 500 year event. “You’re just trying to sell more insurance!” True, that’s my job. I’ve witnessed situations where customers have had “bad things” happen and had inadequate or no coverage. Look, nobody enjoys paying for insurance. Under the best circumstances (i.e. no claims), your policy is a worthless piece of paper. When “bad things” happen, though, that piece of paper can be golden. Selling insurance isn’t really my goal here. My goal is for you to understand your risks and decide how you will deal with a loss should it happen. Although it is usually the least expensive way to deal with risk, insurance isn’t the answer for everyone. A contractor might decide that he’ll just pitch a tent and start rebuilding himself. That’s fine. What I want to try to avoid is folks that just ignore the risk. Those people are called “victims”. Have you had your jewelry appraised lately? 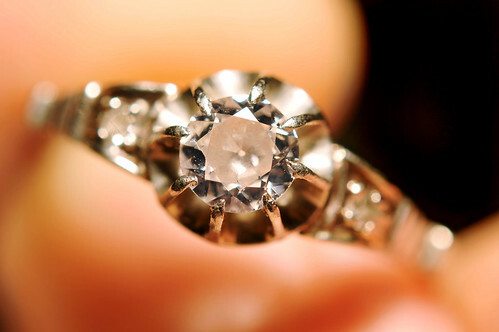 If you haven’t had your jewelry appraised in the past three years, you may be under-insured. Due to labor increases in India (where 90% of all diamonds are cut) diamond prices have spiked another 20% after rising 15% last year. This along with higher prices for precious metals could make a big difference especially if an appraisal hasn’t been done in a while. Author DIAIPosted on 2011-02-17 2016-04-16 Categories PersonalTags Homeowners, JewelryLeave a comment on Have you had your jewelry appraised lately? Umbrella coverage is an inexpensive way to add additional coverage. When you have much to lose, it is a necessity.